Reports that the Vatican would make a statement regarding Limburg’s Bishop Franz-Peter Tebartz-van Elst started breaking this morning, to the effect that he will not be returning to his diocese. Awaiting the official statement, which Domradio has announced to be commenting on at noon, we can only guess at the details. We can, however safely assume that the heart of the decision will be either that Bishop Tebartz-van Elst has indeed mismanaged the funds of the Diocese of Limburg, especially those related to the reconstruction and rebuilding efforts of the diocesan complex, which includes his own apartment (and it is likely that his lies under oath about his traveling to India will also play a part in it), or that the atmosphere in Limburg and Germany as a whole is such that his return is unwise. With the amount of hostility against his person, warranted or not, his work as ordinary of a diocese would have been almost impossibly difficult. There are also reports that the bishop’s mental health has suffered in the past months, which can also be a determining factor in this decision. If Bishop Tebartz-van Elst will indeed not return, the Diocese of Limburg is the sixth diocese in Germany to fall vacant. Regarding the administration of the Diocese of Limburg, in Germany, the Congregation for Bishops has studied in detail the report of the Commission, that was established according to the desires of the bishop and the cathedral chapter, to investigate in detail the responsibilities regarding the construction of the Diocesan Centre “St. Nicholas”. 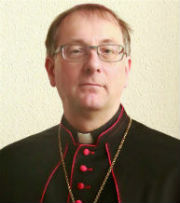 Given that a situation exists in the Diocese of Limburg which prevents the fruitful exercise of the episcopal office by Monsignor Franz-Peter Tebartz-van Elst, the Holy See has accepted the resignation as offered by the bishop on 20 october 2013 and has appointed an Apostolic Administrator in the person of Monsignor Manfred Grothe. The outgoing bishop, Msgr. Tebartz-van Elst, will be given other duties in due time. The Holy Father asks the clergy and the faithful of the Diocese of Limburg to accept the decision of the Holy See willingly, and strive for a return to a climate of compassion and reconciliation. The full report of the German bishops on this matter is set for publication at 3:30 this afternoon. The new Apostolic Administrator of Limburg, who will work in conjunction with Bishop Thomas Löhr, auxiliary bishop of the diocese, and Msgr. 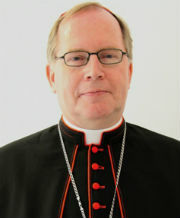 Wolfgang Rösch, the vicar general appointed as Bishop Tebartz-van Elst began his leave of absence, is Bishop Manfred Grothe (pictured). He is the senior auxiliary bishop of the Archdiocese of Paderborn, which borders Limburg to the north. He led the bishops’ investigation into the whole affair. It is interesting to note that the Holy See does not expound much on the reasons for accepting Bishop Tebartz-van Elst’s resignation. But what it does say is interesting. The communique does refer to the investigation conducted by the German Bishops’ Conference and studied by the Congregation for Bishops, but merely notes that “a situation exists in the Diocese of Limburg which prevents the fruitful exercise of the episcopal office by Monsignor Franz-Peter Tebartz-van Elst”. These are very factual statements. Regardless of whether or not the bishops concluded that Bishop Tebartz-van Elst has made grave mistakes, it is by now virtually impossible to be a diocesan ordinary. This is as much due to the situation created by himself (of which only the lying under oath is proven and admitted, which is serious enough), as to how he has been portrayed in the media. In many cases this portrayal has been objetive and necessary, but in a fair number of cases it has not. The words of support from, for example, Cardinal Lehmann, but also those of Cardinal Müller and Archbishop Gänswein, should therefore not automatically be construed as an error of judgement on their part, but, together with the Holy See statement, as an acknowledgement of the fact that Bishop Tebartz-van Elst’s resignation will not be solely due to what he did or did not do wrong. The full report from the bishops’ commission, published this afternoon, is a lengthy tome, and while I am able to make a working translation of short German texts, this, I have to be honest, is a whole different animal. Summaries and analyses of what exactly went wrong are therefore better left to others. The fact remains that things went seriously wrong and while the intentions of Bishop Tebartz-van Elst may have been good and honest, the execution of the entire construction project most certainly was not. 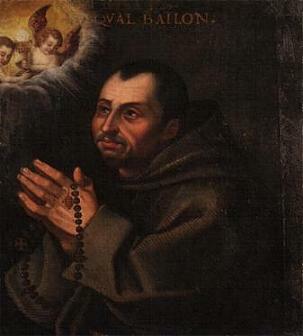 It is, however, good to remember that he inherited this whole affair to a certain extent, as the initial plans, with a number of inherent financial miscalculations, were drawn up by the cathedral chapter in 2004, a full three years before Bishop Tebartz-van Elst was appointed as ordinary of Limburg. But he did authorise new plans and their execution, and made sure that he was the sole responsible party. In a very ill-advised move, Bishop Tebartz-van Elst has now issued a statement denying a number of conclusions from the commission’s report, stating that he was, from the very start, dedicated to ensure “quality and sustainability”, especially in the context of unfortunate experiences with other construction projects in the diocese. In my opinion, this is a counterproductive and unwise move. For the Diocese of Limburg and its faithful, and also for its former bishop, a period of trial and uncertainty has ended. As Bishop Manfred Grothe indicated, now is a time to look ahead. Bishop Tebartz-van Elst may consider his intentions to have been righteous and his efforts to have been all he could do, the fact remains that things went wrong, or so the commission concludes. In denying these conclusions, the bishop is not only fighting the commission and his brother bishops, but also the opinion of the world. And that last one is a difficult opponent, which can not be changed or defeated by full-on assault and denial. It only becomes stronger. The bishop had better chosen another approach, of penance and regret, instead of this. Nothing good will come from it. Later today, the German bishops will elect their new chairman. While their spring assembly lasts until tomorrow, this is by far the most eagerly anticipated part of their deliberations. A total of 66 electors will be voting: 63 ordinaries and auxiliary bishops, as well as the administrators of 3 vacant sees. Limburg’s Bishop Tebartz-van Elst is not present; his place is taken by Administrator Msgr. 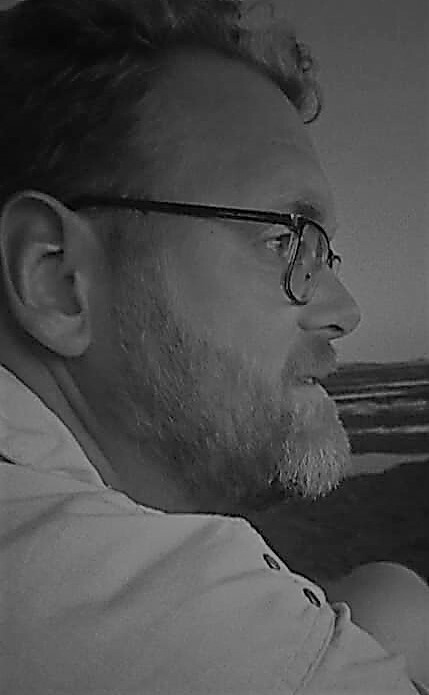 Wolfgang Rösch. Archbishop Robert Zollitsch, the departing chairman of the conference, also votes for his own successor, as he is the administrator of Freiburg im Breisgau. ^Archbishop Zollitsch at the opening Mass for the Bishops’ Conference’s meeting. There are no clear favourites in this election, but whatever the choice, it will constitute a generational shift. But this shift has been typical for the German Bishops’ Conference since about last year. A fair number of bishops and archbishops are retiring or have already done so. Among them are, for example, the aforementioned Archbishop Zollitsch, Cologne’s Cardinal Meisner and in the near future, Mainz’s Cardinal Lehmann and Hamburg’s Archbishop Thissen. Despite the lack of favourites, there are a few names which have been mentioned more than others: Berlin’s Cardinal Rainer Woelki and Munich’s Cardinal Reinhard Marx (who may have to let this one pass, as he has his share of responsibilities already: ordinary of Munich, Coordinator of the Council for the Economy, President of the Council of European Bishops’ Conferences and member of Pope Francis’ Council of Cardinals…). Other names are Osnabrück’s Bishop Franz-Josef Bode, Bishop Franz-Josef Overbeck of Essen and Trier’s Bishop Stephan Ackermann. Whatever the choice, the expectation is that the new chairman will take Pope Francis’ program and run with it, which means a stronger focus on charity and evangelisation and, I fear, a greater risk of bishops getting head of themselves on issues like marriage and Communion (a topic the bishops are also discussing in this meeting), which we’ve already seen happen in Germany. ^Two electors with their own choice to make: Cologne’s auxiliary Bishop Dominik Schwaderlapp and Administrator Msgr. Stefan Heße are also set to vote for the new archbishop of Cologne. The election is set to take place this morning, and per the schedule available at Domradio.de, the presentation of the new chairman is scheduled for 10:30 local time. Following a week in Rome, Bishop Franz-Peter Tebartz-van Elst met with Pope Francis on Monday, and today we learn the result of that meeting, which the bishop called “very encouraging”. Below is my English translation of the official press release, which contains some significant information. The Holy Father has at all times been informed fully and objectively about the situation in the Diocese of Limburg. In the diocese a situation has developed in which the bishop, H.E. Msgr. Franz-Peter Tebartz-van Elst can’t exercise his episcopal service at this time. After the “fraternal visit” of His Eminence Giovanni Cardinal Lajolo this past September, the German Bishop’s Conference, pursuant to an agreement between the bishop and the cathedral chapter of Limburg, has established a commission to carry out a thorough investigation into the construction of the bishop’s residence. Pending the results of said investigation and the related responsibilities in this matter, the Holy See considers it advisable for H.E. Msgr. Franz-Peter Tebartz-van Elst to remain for some time outside the diocese. Upon the decision of the Holy See the appointment of city dean Wolfgang Rösch as vicar general, which was planned by the bishop for 1 January 2014, becomes effective today. Vicar General Rösch will manage the affairs of the Diocese of Limburg in absence of the bishop with the authority associated with his office. First of all, we learnt hat the Holy Father “has at all times been informed fully and objectively”. We may therefore assume that the decision was made on the basis of facts instead of media assumptions. The fact that the Pope not only heard Bishop Tebartz-van Elst on the matter, but also Archbishop Zollitsch and Cardinal Meisner is evidence enough that he got the real story. Furthermore, we find that the bishop will spend the course of the German Bishop’s Conference investigation into the matter outside the Diocese of Limburg. Other sources inform us that he will be in a monastery somewhere. Some have seen this is evidence that Pope Francis is paving the way for a quick succession when the investigation is over, but in my opinion it would simply be a precaution against stirring up the situation even more. If Bishop Tebartz-van Elst would be to return to Limburg immediately, many would use that against him, seriously impeding both his own work as bishop and the work of the bishops’ commission into the finances. In essence, it keep things quiet enough for everyone to do their work. And it allows the bishop the time to reflect on any thing he did wrong, to pray and eventually to return home strengthened and refreshed. Msgr. Wolfgang Rösch (pictured above), in the meantime, sees his upcoming appointment as the new vicar general of the diocese moved forward. Current vicar general, Msgr. Franz Kaspar was to continue in his office until the star of the new year, but has to make way for his successor now. 54-year-old Msgr. Rösch was until now the area dean of Wiesbaden. An engineer by trade, he studied philosophy and theology in Frankfurt and Rome. He was ordained in Rome by Bishop Karl Lehmann (now a cardinal) of Mainz in 1990. After various appointments as parish priest, Fr. Rösch was appointed by Bishop Tebartz-van Elst’s predecessor, Bishop Franz Kamphaus, to lead the diocesan seminary in 1997. He held that position until 2003, before returning to the parishes in Königstein and Wiesbaden. The press release above states that Msgr. Rösch (the monsignor title comes with the office, and will be relinquished should the vicar general take on another appointment) will perform his duties “with the authority associated with his office”. What is that authority? Canons 475 to 481 of the Code of Canon Law describe the function and authority of the vicar general. He assists the bishop in the exercise of his duties and has the same executive power as the bishop, except for those rights and duties which the bishop has reserved for himself or which are solely his by law. This means that the authority of vicar general Rösch is somewhat more limited than that of Bishop Tebartz-van Elst. In essence, he will be able to manage the daily affairs of the diocese, but is limited in making changes and introducing new policies. It is perhaps striking that Limburg’s auxiliary bishop (yes, there is one, who has remained outside the media frenzy quite effectively), Msgr. Thomas Löhr (pictured at right), has not been tasked with managing the diocese in the ordinary’s absence. Then again, while it is usual for an auxiliary bishop to be vicar general, it is not mandatory. Lastly: despite what too many media outlets have claimed, Bishop Tebartz-van Elst has not been suspended. He remains the bishop of Limburg with all the rights and duties attached to that office. The current ‘time out’ merely means he can’t exercise those duties until the Holy Father, or those speaking for him, decide otherwise. The bishop may at any time be allowed to resume in his episcopal ministry. There are no sanctions undertaken against him.